Nats 2016 Minor League Players of the year; do they matter? The Nats recently announced their 2016 Minor League Players of the Year, and then recognized them along with GCL MVP Juan Soto over the weekend. Rafael Bautista, Reynaldo Lopez, Jose Marmolejos-Diaz and Juan Soto, who all hail from the Dominican Republic and represent the best evidence of the Nats long awaited “rebirth” in that market, were all recognized. And that’s great. But how have the Nats Minor League Players of the Year fared in terms of eventual career accomplishment? Is this achievement a good precursor for MLB success? Lets dig deeper. 2016: Jose Marmelejos-Diaz, Reynaldo Lopez: Lopez had some impact at the MLB level in his first shot, may factor into the post-season bullpen, but is looking at AAA next year unless an injury or trade occurs. Marmeloejos-Diaz is still too young to pass judgement. Verdict: too early to tell obviously; Is Lopez going to be an effective mid-rotation starter or (as some pundits believe) is he going to end up being more effective in the bullpen? 2015: Jose Marmelejos-Diaz, Austin Voth: Voth had a solid AAA season in 2016, but was (somewhat surprisingly) not called up on 9/1 despite facing Rule-5 protection this coming off-season. Has he peaked? Was he left off of the 40-man for strategic (i.e. trade bait) purposes? He’s clearly behind three other AAA guys on the depth chart right now with a full MLB roster; what does his future hold? Verdict: too early but concerns about Voth’s role going forward. 2014: Steven Souza, Lucas Giolito: Souza famously netted the team both Trea Turner and Joe Ross in trade, but has been an injury prone 1-win/year player for Tampa Bay ever since (total bWAR for Tampa: 1.9 in two seasons). Giolito’s jury is still out; despite his lofty prospect status he struggled on the big stage in 2016 amid reports of mechanical tweaks and struggles. Verdict: early on Giolito, Souza might be who he is. 2013: Billy Burns, Taylor Jordan: Burns netted the team Jerry Blevins in trade and then had one decent season with Oakland (a 2.8 bWAR season in 2015 that may have had the Nats with trader’s remorse. However, he struggled badly in 2016, was traded, was sent to the minors, and may not be much more than a defensive outfield bench player. Jordan had 9 promising starts in 2013, then struggled in spot starts in 2014, blew out his elbow, came back, struggled again in 2015 spot starts, blew out his elbow again this year and was summarily released. He may struggle to find a team willing to give a 4-A pitcher on his third elbow a shot going forward. Verdict: one may be done, one may be a 4th outfielder at best. 2012: Nathan Karns, Matt Skole: Karns was a lower-round draft pick with an injury history the Nats took a chance on and he shot through the system, taking just a season and a half to rise from low-A. The team capitalized on his promise and flipped him for three role players (Jose Lobaton, Felipe Rivero and Drew Vettleson). Since, Karns got flipped to Seattle, struggled early and has missed most of 2016 with a back strain. Skole is a polarizing figure amongst readers here; to me he is a 27yr old AAA power-only hitter who has had three consecutive NRI to spring training (so its not as if the MLB squad doesn’t know who he is). He’s at the end of his string with the Nats and likely moves elsewhere as a MLFA for next year. I wish he turned out better; after his fantastic 2012 season an unfortunate injury cost him all of 2013 and he really seems like he’s been playing catchup since. Verdict: Karns may turn out to be more than he’s shown, but Skole is a 6-year MLFA. 2011: Steve Lombardozzi, Brad Peacock: Lombardozzi made the majors as a 19th round pick (quite the rarity; it usually only happens 2-3 times per draft class), got traded in the Doug Fister deal, got traded again, then released, then picked up by Baltimore, then released again and found himself playing indy ball after getting cut by the Chicago White Sox this past spring. The Nats picked him up for their AAA team but he possesses a negative bWAR career value as a backup utility player. Peacock (not unlike Karns) had a brief debut with the Nats before getting used in trade to acquire others (in his case, going to Oakland as part of the Gio Gonzalez deal). Oakland flipped him to Houston, where he struggled as a starter in 2014 and has been basically a 4-A taxi squad member between their AAA team and their bullpen. Verdict: both guys ended up better AAA players than MLB players. 2010: Tyler Moore, Tommy Milone: Moore matriculated to the majors and had a fantastic 2012 off the bench (123 OPS+) … and then never matched it. The Nats traded him for Nate Freiman in a “moving the deck chairs” trade with Atlanta, and Moore spent most of 2016 off a 40-man and on the D/L. Milone, like Karns and Peacock after him, had a brief and exciting debut with the MLB club before being used as trade fodder for others (he was also in the Gonzalez trade). He excelled in Oakland’s big park and was then flipped for Sam Fuld to the Twins. He’s been less successful with Minnesota, getting dumped out of the rotation in 2016 and posting a 5+ ERA this year for baseball’s worst team. He may be a non-tender candidate and could be on the move again this winter. Verdict: At best a 4-A slugger and a 6th starter. 2009: Derek Norris, Brad Meyers: Is it interesting that three Nats Minor league players of the year were all included in the same trade? Norris was a centerpiece of the Gonzalez deal while still relatively a young minor leaguer; he peaked as an All Star in 2014 for Oakland before getting moved to San Diego in the Jesse Hahn deal. He’s struggled in San Diego, hitting just .186 this year. Meyers’ career is an injury plagued shame; after a fantastic 2009 he started 2010 just as well before getting hurt. He returned and had a solid 2011 in AA and AAA but was taken in Rule5 by the Yankees. He missed basically all of 2012 with injury and was returned as damaged goods, an injury that cost him all of 2013. By the time he made it back in 2014, he just had nothing left; after 6 starts in Harrisburg the team released him. Verdict: At least a backup catcher in the majors and an asterick due to injury. 2008: Leonard Davis, Jordan Zimmermann: Davis was named the hitter of the year on the back of a solid year at Potomac … when he was 24 and a year and a half older than the league. He kept climbing the ranks, hit .250 in Syracuse in 2011 but never got a shot in the majors. He bounced around indy ball for a copule of years but retired in 2013. Zimmermann is what we all know him to be: a 9-figure starter and easily the most successful player on this list .. which, not to bury the lede this early, is kind of the point of this article. Verdict: a AA washout and a #2 starter in the majors. 2007: Justin Maxwell, John Lannan: Maxwell toiled for years as a 4th OF for the Nats in their dark times before getting flipped for a middle reliever in Adam Olbrychowski. That started his itinerant career, playing for Houston, Kansas City, San Francisco and most recently Boston’s AAA team. He has now decamped for Korea. For his career he has a bWAR figure of 2.9, 2.4 of which came in his best season in Houston. Lannan famously went from Nats opening day starter and Ace during the “down years” to AAA insurance policy in 2012. After getting mercifully non-tendered in 2012, he played for two different NL East rivals in 2013-2014, and has pitched full AAA seasons in the PCL the last two years. 7.1 career bWAR, most of which was earned during his first two full seasons starting for the awful 2008 and 2009 Nats. Verdict: two MLB players, both of which had limited impact in their careers. 2006: Kory Casto, Zech Zinicola: Casto was a long-time Nats farmhand favorite, progressing slowly one level a year and always producing. He finally made the majors in 2007 but struggled in parts of two seasons and was outrighted off the 40-man after 2009. He elected FA, bounced around two organizations in 2010 before retiring in July of that year. Zincola won the Nats minor league pitcher of the year in a year when he threw just 32 innings as a closer, an indication of how bad our farm system was in the early years. He played for years in the Nats system, never making the majors, but interestingly played a full season this year with the independent Sugar Land Skeeters. Verdict: essentially two career minor leaguers. 2005: Kory Casto, Mike O’Conner: O’Conner became just the second pitcher in the history of George Washington baseball to make the majors (the first being a guy from the 1920s who had exactly one career IP). He gave the team 20 starts in 2006 and then had a grand total of 15 MLB innings thereafter, toiling for years in AAA. Verdict: as with Casto, essentially a career minor leaguer. 2004: Ryan Church: a late bloomer who won the Nats minor league player of the year the year he was acquired by destroying Edmonton before getting called up. By 2007 he was a solid contributor for the Nats and looked like a viable RF option for a few years. He got flipped to the Mets in Jim Bowden‘s ill-fated trade for the “toolsy” Lastings Milledge not uncoincidentally just before his first arbitration pay day, played there halfway decently for a year and a half before getting moved to Atlanta. He signed as a FA in Pittsburgh and struggled badly, and 2010 was his last year in the big leagues. Total career bWAR: 9.1, most of it in the three solid years he gave the Nats. Verdict: a MLB regular for a handful of seasons. 2003: Terrmel Sledge: Sledge won the Expos minor league award after an excellent year in AAA Edmonton. He was solid in 2004 for the big league club but then barely played in 2005 thanks to injury. That off-season he was flipped in the Alfonso Soriano deal, traded to San Diego a few weeks later, played two non-descript seasons there and then played 5 years in Japan, retiring after the 2012 season at the age of 35. Verdict: essentially a 4-A player. Not a great track record. Lots of this is squarely on the shoulders of the early state of the farm system; fair enough. Its also wise to note that none of the main home-grown stars that the team as developed over the years appears on this list; No Zimmerman, Harper, Strasburg, Rendon, Storen, Cole, Solis, Ray, Espinosa, etc. That’s because these guys either raced through the minors or just never shined brightly enough at a particular level to earn the award. Also interesting; look how many of these guys got flipped soon after their being named our POTY: Norris, Milone, Peacock, Karns, Burns, Souza. Its almost as if the team is trading high on more marginal prospects thanks to their POTY status. Look at the return in each of these deals; it seems like the Nats “won” the trade nearly every time. Another interesting side note; while doing this I noticed that no less than four guys from the 2007 draft are on this list: Zimmermann (2nd), Souza (3rd), Norris (4th) and Meyers (5th). That draft also included future big leagers in Detwiler (1st), Smoker (1st-supp) and Smolinksi (2nd). and McCoy (10th). That’s a heck of a draft; all due credit. First off, this is partly a post of self-flaggelation, to show how far off my various predictions of what the 2013 minor league staffs would look like by doing 2012 season-ending analysis. Such is the nature of minor league pitching staffs in the modern day; they’re a combination of spare parts, rising stars and hangers-on and they can change rapidly with trades and spring training performances. Every trade and every MLFA signing trickles down and fouls up predicitons. Here’s my End of Season 2012 post with predictions for each of the 2013 minor league pitching staffs. We’ll use that as a basis for the Opening Day 2013 rosters of the four full-season minor league teams. Just for fun we’ll throw in (and start with) the MLB prediction. Note that this early in the season we don’t really know who’s shaking out as starters and relievers necessarily for these minor league teams; i’m just going on first week usage right now. As always, Luke Erickson and nationalsprospects.com, the Nats Big Board and the tireless work by “SpringfieldFan” is much appreciated here. MLB Bullpen: Clippard, Storen, Mattheus, Stammen, Garcia, a FA left-hander (possibly Burnett), a FA long-man (possibly Gorzelanny). MLB Discussion: It wasn’t going to be that difficult to predict the 2013 Nats pitching staff make-up by looking at our staff and their FA status heading into the off-season. The rotation filled its one spot with Dan Haren. The bullpen was 5/7ths predicted correctly (if you count Zach Duke as a FA left-hander acquisition). Christian Garcia‘s injury opened the door for one more season of Henry Rodriguez, and of course nobody could have predicted the Rafael Soriano purchase. Lastly all 5 of the predicted departures occured, in addition to Tom Gorzelanny being let go. We were 3/5s correct on the rotation, and probably would have been 4/5ths right if Brad Meyers was healthy. Ross Ohlendorf and (eventually) Chris Young are new faces here, both being former MLB starters who are taking the Zach Duke route of signing on for full seasons as AAA starter insurance for the big club in the hopes of rebuilding value and finding a MLB job for next year. Brian Broderick is indeed back; its just that he’s starting for AA instead of AAA. Lastly Danny Rosenbaum was returned to the team after his spring Rule-5 adventure and was put in AAA instead of AA, where (as we’ll see in a second) I would have predicted he would start. Once Young is ready to go, I see Tanner Roark turning into the swingman/long-man. On the bright side (pun intended), when was the last time a professional baseball team had TWO Ivy League alumni pitching in its rotation?? Both Young and Ohlendorf went to Princeton. I wonder if they have NYTimes crossword puzzle competitions instead of (assumedly) video game competitions on off-days in the clubhouse. As far as bullpen predictions go, next year I’m paying more close attention to who are 6-year free agents. Arneson, Severino and Nelo were all MLFAs and have either signed on elsewhere or are facing forced retirement. Tatusko, Davis and Mandel are onboard. Lehman is (surprisingly?) in AA, perhaps a victim of the numbers game of the Nats signing (and keeping) a number of minor league lefty relievers this off-season. I would guess, looking at the names in the bullpen, that Erik Davis is the closer but who knows what the usage will be like. Lastly Bramhall was a MLFA signing over the off-season who just got placed on the AAA roster to replace the injured Accardo. AA Rotation: Rosenbaum, Holder, Gilliam, Karns, Grace, Demny (swingman?) or MLFA? Solis if he’s healthy? AA Bullpen: Frias, McCoy, Selik (maybe high-A again), Holland (setup), Wort (closer), VanAllen (loogy), Demmin (maybe high-A again), an org arm or two to fill in. We got, well, not much of this right. Of my starter predictions: Rosenbaum is in AAA, Holder is here but seems to be the long-man right now, Gilliam is hurt, Solis is still on the DL, and Grace is back in High-A. We do seem to have at least gotten Karns and Demny right. Broderick was a surprise FA signing, his being a favorite of the Nats organziation per our Rule-5 experiment with him a couple years back. I’m surprised he’s not in the AAA rotation though. Treinen was a trade-throw in from the Morse deal and takes a spot in this rotation, while Clay was a 2013 MLFA signing who (surprisingly?) made the rotation over the likes of other candidates. The bullen prediction is all over the place: We got Frias, Holland and Wort right. McCoy is in AAA, Selik is on the AA D/L and VanAllen and Demmin were MLFAs who were left unsigned (and per the big board are still unsigned). I thought Barrett and Swynenberg would be in high-A instead of AA, I (and most others) thought Lehman would be in AAA, and Krol arrived as the PTBNL in the Morse trade. The Potomac rotation guess was already light; a couple of the guys I was guessing might be in low-A are indeed there (Schwartz and Rauh). Swynenberg is in the AA bullpen. Meyer was traded. Only Robbie Ray returns. I thought Jordan was going to repeat Hagerstown. We got Cole back in the Morse trade and bumped up Turnbull from short season (over Mooneyham, interestingly) Lastly Hill seems to have beaten out Grace for the 5th starter spot. The Bullpen prediction looks pretty good: 7 of the predicted guys are here (Smoker on the DL, Meza, Holt, Hawkins, Mirowski and Bates). Barrett indeed is in AA. Testa was released. Of my release candidates McCatty is in XST, Applebee and Olbrychowski are on the DL. Lastly both Samuel and Consuegra were off-season MLFA signings who didn’t pan out and have already been released. Historically the hardest to predict, the Low-A team. Of the guesses for the rotation last fall, we only got Mooneyham right. Turnbull and Jordan were bumped up a level. Purke is still hurt. Of the “competitors” the team flat out released Monar and Hansen to my surprise. Monar was really good in Auburn last year, and while Bobby Hansen wasn’t nearly as dominant as a starter, I thought he’d at least get a shot at being a loogy after so many years in the organization. Jack McGeary was selected out of the org during the minor league phase of the rule-5 draft. Lee is in XST limbo right now. So who are these surprising Low-A rotation guys? I thought Anderson would be relegated to the bullpen in Low-A; instead he’s the opening day starter. I thought Pineyro would repeat short-season ball but he made the full-season team. And lastly I thought Pena was destined for another season in short-A. Rauh and Schwartz, after I thought they had shots in the rotation in high-A, seem to be taking the roles of “2nd starters” for now, each having gone multiple innings in relief of the starter. I wouldn’t be surprised to see them becoming full time starters if one of the 5 guys ahead of them falter. Most of the rest of the predicted bullpen are 2012 signees who are currently amongst a large group of extended spring training guys who will be battling it out for short-season jobs with 2013 signees. And we seem to have a very large group of them; the big board lists in excess of 30 hurlers who are currently still in the organization, who are not on the D/L officially, but who are not assigned to one of the four full season teams. That’s a lot of arms for just a handful of spots in short-A and the rookie league after the 2013 draft occurs. After finishing the evaluation of all 6 minor league pitching staffs, plus finally finishing (and posting yesterday) the MLB season review, here’s an entirely too-early projection of what the staffs and rotations may look like in 2013. This post assumes for the time being that all major and minor league FAs will opt out and we’ll be looking to fill spots. In these cases I’ll mark FAs to be as needed, though we very well may acquire these players in trade. Note: some of these projections are slightly different from the original reviews posted in the per-level links, to account for moves, performances and roster moves that have already happened or seem set to happen this off-season. I’ve also made some slight adjustments in order to make the rotations and bullpens work at each level. Staff Review links: MLB is here, AAA is here, AA is here, High-A is here, Low-A is here, Short-A is here, GCL is here. MLB Narrative: 4/5ths of the rotation are no-brainers. The 5th starter is the question mark for 2013. Do we re-sign Jackson and pay him more as a 5th starter than our big 3 guys? It doesn’t seem so after the team declined to give him a Qualifying Offer. Do we trade from depth (RH relief, middle infield) and find a 5th starter that way? Do we find a 5th starter from within? Meanwhile the bullpen is now full of hard throwing righties, but we could lose all 3 of our lefties. We may need to work the phones to retain these guys, or else we’re on the FA market. I think (despite my discussion about converting Garcia to a 5th starter) that he’ll remain in the bullpen and may bump Henry Rodriguez out of a job. One of our two closer-quality guys (Clippard and Storen) could be moved, cashing in on their value, which could open up a spot for a FA acquisition or a promotion from AAA. Lots to be decided this off-season for Mike Rizzo, and this hasn’t even mentioned the dominos that will fall if/when the team makes a contract decision on Adam LaRoche. AAA Narrative: We have a lot of long-serving minor leaguers here; as it stands now only a few of them are even 40-man roster guys (Maya, Perry, Garcia). The modern AAA roster construction is one of “spare parts” and prospects; do we have enough prospects to cover for injuries at the MLB level? Which one of these AAA starters would Nats fans feel comfortable filling in were one of our starters to go down with injury? Perhaps the Nats need to work on some starter depth via trade. Brad Meyers was just returned from the Yankees after a season-long DL stint after being Rule-5 drafted, and seems likely to slot right back into the AAA rotation when he’s healthy. Perry seems set to get a 4th option and should slot in here, looking to convert back to being a starter. Broderick is a former Rule-5 pick and was claimed from St. Louis, who dumped him late last season. I don’t think he’s anything more than a 4-A starter, but the organization seems to like him. AA narrative: We have a couple of interesting candidates in the AA rotation to start, but what may be more interesting is to see whether the likes of Gilliam and Demny hold onto their spots with the talent ready to rise up out of high-A. Meanwhile, the bullpen has some interesting arms to keep an eye on. I forgot to mention Solis in the AA write-up but remembered him here. Two big questions for me in this AA rotation for 2013: 1) is Rosenbaum for real or is he going to sputter out before reaching MLB potential? And, 2) Is Nathan Karns ready to make the leap? I think Karns can quickly put his name in the mix to get promoted to AAA based on his performance in 2012. High-A narrative: there’s too many arms for too few slots right now in all three of the A-levels. There’s a ton of release candidates, and some guys who could be higher or lower. I’d love to be a fly on the wall at the organizational meetings where all this evaluation is done. Meyer dominated High-A last year; could he start in AA? Barrett (by virtue of his AFL appearance) may also be AA material. The same goes for the Low-A team below: I’ve got 5 logical rotation candidates, another 4 guys who make sense to be in the low-A rotation, and a slew of guys who seem to have earned their way to the low-A bullpen. But there’s only 7 slots to go around. We acknowledge the folly of trying to predict short-season staffs which will mostly be populated with 2013 draftees, especially under the new CBA that shortens negotiation times, making it more likely college seniors are drafted (who sign quickly with zero leverage) and get playing. That being said, there will definitely be guys who stay in extended spring training for a couple months and then get placed on these rosters along with new draftees. Here’s some guesses based on 2012 performances; all blank spots filled by 2013 draftees or by some of the guys who drop down from low-A. GCL blank spots filled by younger 2013 draftees (HS, Juco and college juniors/seniors from smaller schools) and by rising DSL grads. I stumbled across this post, titled “Updated Minor League Rotation Predictions for 2012,” posted March 1st 2012, while looking for something else last week. And I thought to myself, hey now that I’ve finished the reviews of the minor league teams, lets see how I did predicting the rotations at the beginning of the season! I’ve also culled through the post-2011 season review posts for some preliminary guesses at the time. (Note: I linked to NationalsProspects.com Luke Erickson‘s guesses in the above link for another perspective in the 2012 spring training). Players are bolded the first time they’re mentioned, but not afterwards. What happened? My prediction was way, way off; only Maya was the constant, but we knew that the second he proved he couldn’t get out MLB hitters last fall. The team traded two of its probable AAA starters (Peacock and Milone), lost a third to the Rule-5 draft (Meyers, who honestly we probably will get back once the Yankees are done screwing around with him) and a 4th to Minor League Free Agency (Martis). Meanwhile, who knew that Lannan wasn’t going to make the MLB opening day roster? Then, the team released Buschmann before he appeared in a game (he played 2012 in the Tampa Bay organization). Ballard was a starter, just not in AAA. Stammen, in a surprise to me, made the conversion from AAA starter in 2011 to MLB bullpen guy and had a great year. Lastly, instead of using more internal options like Roark the team signed two MLFAs in Duke and Atkins. I suppose I could have guessed that the team would go with Roark before Arneson as a starter (given Arneson’s rubber-armed handling in 2011). It just goes to show how much the creation of AAA teams has changed over the years. We were a bit closer here, getting 3 of the 5 guesses right. Sammy Solis would absolutely have been in this rotation if not for his Tommy John surgery; we’ll cross our fingers for him to return in 2013. When Solis went out, org-arm Mandel filled in. Evan Bronson is still with the organization on Milb.com but never threw an inning in 2012 and isn’t on the Big Board. I can’t find a single bit of google information indicating if he’s still with the team or not. Weird. Meanwhile I had just guessed too high for Olbrychowski; he spent most of 2012 as a starter in Potomac. Nobody could have guessed that we’d have traded Balester for Perry, that Perry would have stunk as a reliever, and then would show up in AA remaking himself as a starter. Ballard and Pucetas were MLFA pickups designed to fill holes in the system, though based on his prior experience I had Ballard pegged in the AAA rotation. I was far off here as well; Purke got hurt, Meyer, Hill and Karns started lower than I would have guessed and Selik was converted to a reliever. I was right only on Grace (thought technically I thought Olbrychowski would be a starter, just not back in Potomac). Winters was a MLFA (the fifth such MLFA who has appeared as a primary starter in our top three levels; is this a statement of some sort?). As we’ll see in a moment, I was right about Hansen, just wrong about the level. Lastly Swynenberg came out of nowhere; he was effective in middle-relief in low-A; who knew he’d win a spot in the high-A rotation? I thought Ray would have done a few turns in low-A; instead he debuted in Potomac and struggled to make the jump. I lost faith in Karns between September 2011 and March 2012; as it turned out he was one of the 5 top starters (in terms of appearances) for the year while putting in a career season. What happened? The team traded Cole. Jordan was injured more than we were led to believe in late 2011 (he had Tommy John surgery after the season was over). I predicted Hansen, Ray, Hill, Estevez, Meyers and Dupra would be starters, just got the levels wrong. My Mar 12 guesses were somewhat accurate in that we got Turnbull and Karns right. McGeary struggled through yet another injury filled season and may be nearing the end of his baseball career. I thought Estevez was getting squeezed out with all these high-profile starters rising up. I figured McKenzie had lost his starting shot; clearly his performance in 2012 should end his chances at getting another 2013 starting shot. I guess the lesson here is that it can be awful difficult to determine the difference between a High-, Low- and Short-A guy. Sept 11 Guess: Manny Rodriguez, Dupra, Baez and two draft picks. My guess of 3 returners and 2 draft picks wasn’t entirely accurate; there wasn’t a single 2012 draft pick in the 2012 opening day rotation. We got Baez pegged correctly but the rest of the predictions were off. Manny Rodriguez, a converted infielder, spent the whole year on the 60-day DL. Dupra was in high-A. Meanwhile, a couple of guys dropping down from Low-A (Jordan, Encarnation) comprised the rotation at the beginning of the season. Monar was a repeater from 2011 who didn’t get a ton of innings last year. Eventually some 2012 draftees (Mooneyham, Fischer and others) got starts as expected, and helped drive Auburn to the playoffs. Mar 12 Guess: Mieses repeating plus 4 guys from DSL and the 2012 draft. Finally we got one right (well, right from Mar 12 guess anyway). The GCL rotation was Mieses, 3 DSL graduates and one 2012 draftee. Eventually more 2012 draftees (Hudgins, Selsor and others) consumed most of the rest of the starts. King disappeared from the rosters; he’s still in the organization but was never assigned this season. Injured? Disciplinary issues? There seems to be so much inconsistency in the DSL graduates that it almost isn’t worth tracking them until they appear in a higher level. Honestly, this is why I don’t really follow the Dominican Summer League teams either. Phew; that’s a lot of Nats minor league starters. As it showed, its really, really difficult to predict this stuff from a computer in Northern Virginia, scouting the stat lines. But its really fun, so we’ll continue to do it :-). Click here for the 2011 version of this post, for a look at how things were last year. Here’s the High-A version of the 2012 season pitching staff review. I’m going down the line from top to bottom; AAA is here, AA is here. As with the other reviews, we’ll look at the main rotation, the substitute and spot starters, then focus on key relievers. Rehab appearances are generally not mentioned. Potomac starters. The rotation started the season with Winters, Hansen, Olbrychowski, Grace and Swynenberg. Lets see how the original rotation and other primary starters fared. Kyle Winters, an off season minor league free agent pickup, was Potomac’s opening day starter. But he wasn’t long for the rotation; he got shelled en-route to posting a 7.02 era in 8 starts before getting released. It does not seem like anyone else picked him up (except perhaps in Indy ball). Lets be honest; it is never a good sign to have minor league free agents playing significant roles on high-A ball clubs. Outlook for next season: in another organization or out of baseball. High-A proved to be too much for Bobby Hansen, who put up a 5.85 ERA in 6 starts (9 total appearances) before being moved back to Low-A, where he spent 2011. He’s young; he has yet to turn 23, so even low-A isn’t the worst place for him. But he’ll be entering his 6th pro season in 2013 and you’d like to see him throw more than 50 innings in a season. Outlook for next season: see the Low-A post. Adam Olbrychowski wasn’t able to build on his 2011 season in High-A, regressing badly and posting a 6.24 ERA in 26 appearances (16 starts). He lost his rotation spot halfway through the season and didn’t fare well out of the pen. This trade didn’t work out for either team really (the Nats traded Justin Maxwell to the Yankees for Olbrychowski in January 2011 and released him themselves; he now plays for Houston). Outlook for next season: either one last shot in the High-A bullpen or released. Matthew Grace put in his third year as a full-time starter with the Organization, and he continues to be hit or miss. On the season he posted a 9-12 record with a 4.84 ERA and 83/48 k/bb ratio in 141 1/3 innings, but you never know what you’re getting with him. His final start of the season featured 8 shutout innings, but his first start in August was a 3-inning 9 hit meltdown. Outlook for next season: the organization stuck with him after a 5.17 ERA in a full season of low-A; no reason to think they won’t continue to stick with him in 2013. AA rotation, perhaps re-peating High-A if the numbers don’t work out. Matt Swynenberg was in and out of the rotation, not really excelling as either a starter or a reliever on the year. 7-5, 4.92 ERA on the season. He was a bit unlucky on the season; he had a .343 BABIP and his FIP was a bit lower than his ERA. Outlook for next season: he’s still young (turned 23 in February) and has plenty of time to improve. And, given that he was a 28th round draft pick, anything he contributes is absolute gravy to the organization). Look for him to be leading the High-A rotation in 2013 with an eye for mid-season promotion. Robbie Ray was last year’s sensation, an 19-yr old dominating in Low-A. He clearly suffered from a sophomore slump, going 4-12 with a 6.56 ERA in 22 “starts” (I put that in quotes since he had one 5-inning “relief” appearance in June). What happened? His K’s were down, Walks up, HRs up, BABIP unlucky, and his FIP was a full point and a half lower than his ERA. So it wasn’t as bad as it looked. Plus, he’s only 20 in high-A, where a lot of college guys take a year and a half to get to. I’m not worried at all; i’ll bet he’s back to being dominant in 2013 repeating the level. Outlook for next season: back in the High-A rotation. Nathan Karns finally got a healthy full season of pitching under his belt after getting paid 3rd round money as a 12th round draft pick in the high-spending 2009 draft, and the organization finally got a look at what Karns can do: A 2.17 ERA in 24 appearances (18 starts) across 116 innings between low- and high-A. This was no fluke either; all his advanced stats support his performance and give reason to believe he’ll continue to develop. He was named the Organization’s Pitcher of the Year for 2012, usually a great indicator of future success for this team. He’s a big guy with a great pitching frame (6’5″, 230lbs) and an even better mustache (see his profile picture at milb.com). I think Karns may be our best or 2nd best starter prospect right now. A ight concern may be his hitting the DL in mid-August after a couple of mediocre outings; I’d guess that he’s reached an innings limit for the season and was shutdown with an unspecified injury. This may also explain why he’s not appearing in the AFL after such a season. Outlook for next season: AA rotation. Trevor Holder finally got promoted past high-A after repeating the league for the 4th time in 2012. He got 10 starts in Potomac before being moved up mid-season. He was pretty good in his 9 starts in High-A this year: 3-3 with a 3.72 ERA. Outlook for next season: (from the AA post): AA Rotation. Alex Meyer excelled in 7 late-season starts in Potomac after throwing 90 innings in low-A to start the year. Final high-A stats: 3-2 with a 2.31 ERA in 39 innings. His ancillary numbers declined slightly moving from low- to high-A (as one would expect), but his core capabilities seem to be the same. He’s a HUGE guy (6’9″) and the downward plane on his fastball makes it incredibly difficult to hit in the air (only 6 homers allowed in 139IP). A lot of pundits (myself included) were critical of Meyer starting in low-A as such an advanced draft prospect, but his numbers in high-A (a more legitimate evaluation of his skills age- and experience-wise) give great hope. The organization has had him working on mechanics all year, worried that such a big guy was going to struggle to repeat his delivery (as highlighted by this Baseball America article, subscribers only sorry). After being basically a 2-pitch guy in college, Meyer has reportedly added a 2-seam fastball that he throws at the same velocity as his 4-seamer to go with an 87-mph change-up. Suddenly he’s a 4-pitch guy (2 plus-plus, one plus and one fringe) and that gives him a great chance of remaining a starter. A 6’9″ throwing upper 90s has to look like 100+ to a hitter based on his release point, and despite most scouts opinion that he’d make a fantastic shut-down closer with his 2 plus-plus pitches, he has more value to the team as a starter. Outlook for next season: I think he starts in High-A rotation again with an eye towards quick promotion to AA. Robert Gilliam underperformed in AA, got demoted to high-A and gave Potomac 7 up-and-down starts down the stretch. Final numbers in Potomac: 1-2, 4.25 ERA in 36ip. Outlook for next season: (cut-n-pasted from AA post): The team likes him as a starter; i’m guessing they give him another whirl in the AA rotation with Meyer sitting in High-A waiting in the wings. Taylor Hill got three late-season starts after toiling all year in Hagerstown. Outlook for next season: see Low-A post. Ryan Demmin served as the mop-up/swing man for the team, giving them a K/9 reliever with a 4.57 ERA on the season. He got a couple of spot starts but only went 7 innings between the two. He gives up a lot of hits but doesn’t walk guys. He could continue to be a useful middle reliever. Outlook for next season: Likely the high-A bullpen again, though he could slot up to AA if the numbers don’t work out. Paul Applebee, as with Demmin, was used mostly as a long man and got a spot start before going down with injury in June. He wasn’t great when he did pitch (5.00 era in 36ip), but he’s been useful in the organization for a while. Outlook for next season: High-A mop-up guy again, not knowing how severe his arm injury is. Potomac Relievers: taking a look at the relief corps at the end of the season. They used an awful lot of them. Neil Holland continued an excellent string of seasons for this organization since being drafted in 2010. He was close to unhittable in 2012: a 1.64 era in 60 innings and a sub 1.00 whip. That’s fantastic. Outlook for next season: see if he can repeat his performance in AA. Rob Wort had, frankly, a pretty amazing season as Potomac’s closer. He had an era of 2.38 over 56 2/3 innings, and had 13 saves. That’s not why he was amazing; He had 95 Ks in those same 56 2/3 innings. That is a 15.09 K/9 rate!! For a 30-th round draft pick (i.e., a guy who was never really expected to make it out of rookie camp), that’s incredible. Outlook for next season: closer in AA. 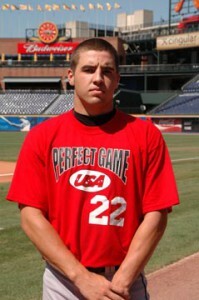 Joe Testa couldn’t repeat his excellent 2011 Potomac results, putting up an ugly 5.17 era in 38 IP. The ugly part? A perfect 1-1 ratio of walks to strikeouts on the year (31 walks, 31 Ks). He turning 27 in December and is entering his 6th minor league season; I think its safe to say 2013 is a “show me” year for Testa. Outlook for next season: hard to see him moved up to AA; I see him repeating in the High-A bullpen, perhaps a pure Loogy. Cameron Selik looked to have “figured out” the bullpen after being a starter for most of 2011, and had a fantastic 34/3 k/bb ratio in 22 high-A innings. He earned a promotion, but begged out of his AA debut with what probably was a torn Lat. He didn’t pitch again after June 5th. A shame, since it would have been nice to see how he fared upon reaching AA. Outlook for next season: I’d start him in the High-A bullpen again to make sure he’s healthy, then promote him up to AA. Aaron Barrett has gone from unknown 9th rounder to organizational top prospect in one season; after tearing through Low-A with 52 Ks in 34 innings, he allowed just 2 runs in 17 high-A innings to close out the year. 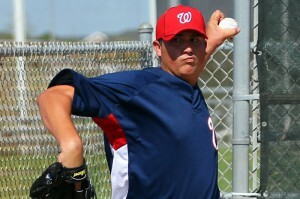 His performance earned him a trip to the Arizona Fall League along with a number of other high-profile Nats prospects. Outlook for next season: As with Selik, I’d imagine he belongs in the AA bullpen; we’ll see if the numbers work out. If not he starts in Potomac looking for a quick jump. Josh Smoker, the Nats poster child for NOT drafting high school arms early, threw a grand total of 9.2 innings between three levels this year. Its hard to believe, but he’ll play his 6th minor league season in our system in 2013 and then he’ll likely move on. Outlook for next season: if healthy, High-A bullpen to try one last time to resurrect his Nats career. Other Relievers who appeared in High-A of note (not including Rehabbing MLBers): Outlook for next season for all of these guys seems the same: either continued “org guy” middle reliever or minor league FA in another organization. Adam Carr, a 28-yr old in high-A after spending most of 2011 in AAA. Org arm. Jimmy Barthmaier looked great in 19 High-A innings; he should since he’s 28 and in his 8th minor league season. Shane McCatty struggled through a 6-week mid-season injury and an 8.83 ERA in high-A. Nepotism seems to indicate that he’ll get another shot in 2013, deserved or not. Wilson Eusebio was promoted twice, both times inexplicably based on his performance, and ended up getting lit up in Potomac. He may be out of baseball after 2012. Summary Potomac’s 5 opening day starters finished the season with these ERAs: 7.02, 5.85, 6.24, 4.84 and 4.92. Thankfully guys like Meyer, Holder and Karns replaced some of these starts with decent ones later on in the season. They got great performances up and down the bullpen though, which helped the team to remain in playoff contention late into the 2nd half (despite their sub .500 record). At least they were dominant at home (21-13 first half, 21-15 second half), giving the Potomac fans a lot to cheer for. Outlook for next season: see the Low-A post. Here’s the AA version of the 2012 season pitching staff review. I’m going down the line from top to bottom; AAA is here. As with the other reviews, we’ll look at the main rotation, the substitute and spot starters, then focus on key relievers. Rehab appearances are not discussed. Harrisburg starters. The rotation started the season with Gilliam, Demny, Mandel, Rosenbaum and Ballard. Lets see how the original rotation and other primary starters fared. Robert Gilliam, the “forgotten man” in the mega Gio Gonalez trade in December, made the opening day start for Harrisburg but didn’t live up to his billing. He got 13 starts before going to the bullpen, and then eventually getting demoted to Potomac. Season AA numbers: 3-7, 6.38 ERA. Outlook for next season: The team likes him as a starter; i’m guessing they give him another whirl in the AA rotation. Paul Demny took a step back in his progressive career with the Nats, going 6-8 with a 5.43 ERA in 23 starts before moving primarily to the bullpen at the end of the season. He’s still very young (just turned 23) but he’s finishing his 5th pro season and 2013 will be his “walk year.” Interestingly, the Nats named Demny one of their AFL participants, an odd selection based on his performance this season. Outlook for next season: as with Gilliam, I’d be surprised if Demny remains a starter. AA bullpen as a swingman unless the team needs a 5th starter. 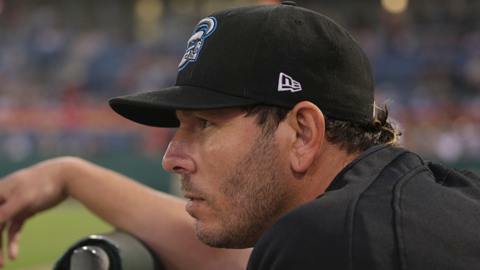 Jeff Mandel started the year in the Harrisburg rotation and put in 11 middling starts before getting moved to AAA to replace an equally ineffective Mitch Atkins. This marked the third straight season he had started in AA and moved to AAA, a sure sign of an organizational arm who filled in where needed. Outlook for next season: see AAA post. 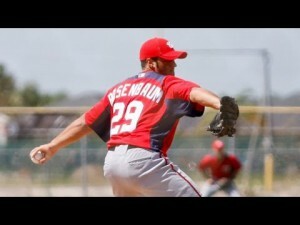 Danny Rosenbaum was supposed to be the Ace, the Star of this rotation. He was the highest-ranked prospect and was the Organization’s best starting pitching prospects. He didn’t really live up to his billing, going 8-10 with a 3.94 ERA and a 1.31 whip in 26 starts. He looked great his first 10 starts and then struggled the rest of the season. He turns 25 in the off-season and is Rule-5 Eligible. I think the team has to protect him. Outlook for next season: Added to 40-man roster ahead of the Rule-5 draft but back in AA to start 2013, with an eye on a mid-season promotion to AAA. Mike Ballard was a Minor League Free Agent signed from Baltimore (after failing to make it in the Houston organization after 5 minor league seasons). You would have thought he’d have been in AAA but started the season in the AA rotation. After 12 up-and-down starts he got absolutely pounded on June 13th, hit the DL with “elbow discomfort” and has been there ever since. Final season stats: 1-5, 4.31 ERA. Outlook for next season: released. You hate to cut a guy with a season-ending injury, but business is business. Ryan Perry, astutely acquired for Collin Balester (who failed to impress in Detroit and was DFA’d earlier this year) in spring training and he competed for the MLB bullpen. He featured briefly, was ineffective and was optioned to AAA. The team took a look at his repertoire and decided to try to convert him to a starter in AA. The results? Pretty good; a 2.84 ERA and 1.11 whip in 13 AA starts. Outlook for next season: here’s the problem with Perry; he’s out of options for 2013. He was added to a 40-man roster in April 2009, and burned options in 2009, 2011 and this year. So he has to either make the MLB club or be DFA’d at the end of spring training. So look for Perry to compete for the #5 starter job or be considered trade bait in the off-season. Kevin Pucetas is another Minor League Free Agent who probably was too experienced for AA (as with Ballard); he spent the previous 3 seasons in the Pacific Coast League. For Harrisburg in 2012 he was excellent out of the pen early (posting a 1.59 era in 34 relief innings) and then was relatively mediocre in 12 starts (5-5 with a 4.81 ERA). You have to think he was merely filler for a gap in pitcher development in this system and will be looking for work elsewhere for 2013. Outlook for next season: with another organization. Trevor Holder finally looked like he was putting things together early in Potomac, earned a mid-season promotion to Harrisburg and put up a 3.78 ERA in 10 starts (9 actual starts plus a 10th game where the “starter” went one inning on a rehab assignment). The knock on Holder was that he was a total signability pick in 2009 after the team spent big on Strasburg and Storen. It is good to see him putting some things together. Outlook for next season: AA rotation. Ryan Tatusko got 8 starts in 27 appearances in a long-man/spot-starter/swingman role for the team. He was slightly better as a reliever versus a starter (his splits showing a 2.72 ERA with greater than a k/inning as a reliever, a 4.50 ERA in his 8 starts). I have always liked Tatusko (not the least reason of which is that he writes a blog) and was eager to see him contributed after he came over (with Tanner Roark) in the Cristian Guzman trade. But his time with the organization may be at an end; he just finished his 6th minor league season and he took a step back with the organization. Outlook for next season: I thought he’d have been in AAA by now; perhaps 2013 is the year. AAA swingman. Brian Broderick: the team’s former rule-5 pick never made it with St. Louis, and when he was released the Nats picked him up. He got a handful of appearances down the stretch and finished the season with 3 starts. The team clearly likes the guy and seems willing to give him a chance. Outlook for next season: AAA rotation. Austin Bibens-Dirkx, he had a couple starts early before getting promoted up to AAA, where he probably should have started the season based on his experience. Outlook for next season: (as copied from the AAA post): with another organization. Adam Olbrychowski got called up to make the last start of the season. Outlook for next season: see High-A post. Of note: Chien-Ming Wang made no less than NINE rehab starts in AA (and fifteen overall minor league rehab starts). You can argue whether or not the organization was “bending” the DL/service time rules or not; either way I can’t see how Wang stays with this team for 2013 and beyond. Harrisburg Relievers: taking a look at the relief corps at the end of the season. They used an awful lot of them. Marcos Frias finishes his 6th pro season taking a step back from his 2011 numbers in high-A. On the year, a 4.82 ERA in 65 1/3 relief innings. He’s still very young, being a DSL graduate and yet to turn 24. Technically he’s rule-5 eligible but its hard to see a team taking a flier on a RH reliever without knock-out stuff. Outlook for next season: back in AA bullpen. Erik Davis was generally excellent all season for Harrisburg, posting a 2.52 ERA in 64 1/3 relief innings. He earned a late season promotion to AAA. The former starter and trade bounty for Alberto Gonzalez technically is rule-5 eligible but the risk of losing him seems slight. Outlook for next season: AAA bullpen, looking to become the next Christian Garcia. Patrick McCoy had a pretty good season out of the pen in Harrisburg; 7-3 with a 3.70 era in 58 1/3 innings. He was rule-5 eligible in 2011 but didn’t get picked up. Now he’s one year from being a Minor League Free Agent. Outlook for next season: AA or perhaps AAA bullpen, whoever needs a left hander. Hector Nelo, who was released by Texas in April of 2011, finished the year with strong numbers as the team’s primary closer. He had a 2.73 era and 16 saves in 52 2/3s innings over 47 appearances. More importantly his K/9 rates really jumped from 2011. He’s the kind of big-time arm that Mike Rizzo loves (he can reportedly hit 100mph) and should get some looks going foward. He’s tied to the organization for one more season. Outlook for next season: the closer in AAA. Rafael Martin was as unbelievably bad statistically in 2012 as he was good in 2011. How do you go from a 1.65 ERA across 2 organizations in 2011 to a 6.69 ERA in 2012? Perhaps the answer is either a late-season injury or fatigue; in his last four appearances in AA this season he gave up 11 earned runs; the 6 appearances before that just one. He’s no spring chicken though; he’s already 28 and is far far too old for AA at this point. Outlook for next season: bullpen in AAA and hoping for a rebound to 2011’s numbers. Cameron Selik pitched 1/3 of an inning in AA before a season-ending injury. Outlook for next season: See High-A writeup. Pat Lehman got promoted to AAA. Joe Testa got demoted to High-A. See those write-ups for outlooks. Other Relievers who appeared in AA of note (not including Rehabbing MLBers): Outlook for next season for all of these guys seems the same: either continued “org guy” middle reliever or minor league FA in another organization. Zech Zinicola came back to the team after being rule-5 drafted in late 2009, and remains an organizational arm. Jimmy Barthmaier split time between AA and high-A. Org arm. Corey VanAllen was demoted down from AAA and then got hurt in July. Org arm, maybe a loogy in AA again. Harrisburg struggled to find a good consistent group of starters. My guesses on what role these guys will play next season list too many guys getting dumped into the bullpen, so it may be interesting to see who gets another shot at starting in 2013. Unfortunately these injuries and inconsistencies cost the team a near-certain 2nd half playoff spot. With Spring Training in full swing, most of the focus is on the Nationals 25-man roster and who may or may not make it. Even with the additions to the major league roster, our minor league starter development is still incredibly important to this team for the long run. Despite having Strasburg, Zimmermann and Gonzalez each locked up for many years (roughly, 2016, 2016 and 2018 respectively with options exercised), the rest of the rotation is not exactly set in stone for the long run. Wang and Jackson are on one-year FA contracts and Lannan doesn’t seem a lock to be tendered this coming off season (where he’ll face arbitration for the third time and, if he stays here and puts in 30 starts, could be in line for something close to $8M in 2013). That is, if Lannan is still even with the team in a year’s time (he seems surplus to requirements right now and may be a trade candidate). Even more importantly, three key starters in our farm system went the other way for Gonzalez. Our 2012 AAA starter safety net of Milone and Peacock is now set to be the 4th and 5th starter in Oakland, and our most electric younger arm (Cole) is now one of Billy Beane‘s best prospects. That being said, lets talk about what the 2012 minor league rotations may look like, and where interest may lie with up and coming arms. Experienced readers will note that, by and large, I only focus on minor league starters. That is because, for the very large part, that pitchers rise up in the minors as starters and only get converted to be relievers upon failing as starters. If you look at our current bullpen; Clippard, Rodriguez, Burnett, Gorzelanny, Detwiler and Lidge are all former starters, converted to being relievers either because of poor performance or for physical reasons. Only Storen has grown up entirely as a reliever. Therefore, the odds of a guy who is already pitching in relief in the lower minors rising up to be a part of the MLB bullpen is relatively slim. Loogies? Another matter, but still a difficult path (just ask someone like Josh Smoker). Therefore, I tend to focus on Starters with occasional lip service given to closers per level and other relievers who are pitching their way into promotions. I wouldn’t be surprised to see Erickson’s guesses of Atkins and Hernandez though replacing the last two; I’m guessing there’s going to be a wide-open competition for this rotation in this year’s spring training. And, I specifically did not include John Lannan here; I just cannot believe the team is going to stick him in Syracuse by virtue of his option after signing on to pay him $5M. First man promoted: I’d guess Stammen, who did have some successes in last year’s call-up, but it’ll take a swine-flu epidemic in the Nationals clubhouse for him to get called up to make some starts. The MLB staff looks to have two former starters in their bullpen who will get the ball before Stammen gets a shot in 2012, and that doesn’t include the Wang/Lannan 5th starter conundrum. First man demoted to the bullpen: Arneson; he’s bounced our system around like a pinball lately, and the team seems to use him as a multi-level handy-man instead of a starter prospect. This list did have Sammy Solis until his TJ surgery was announced, and I put in Olbrychowski, who was halfway decent in a bunch of 2nd half starts in 2011. I do think Roark is done being a starter in this system but I could be wrong. Gilliam was the little-known make-weight player in the Gonzalez trade and I think he makes it to the Harrisburg roster. First man promoted: Danny Rosenbaum, who aced Potomac last year and has the same make up as Lannan. But, unfortunately there’s no top-10 stars on this list that could make an immediate impact. First man demoted to the bullpen: Obrychowski, who started 2011 in the pen and may be on a short leash if someone in Potomac lights it up. I think Purke is advanced enough to start here, as is Meyer. Of course, I also think Purke’s injury history could work against him and he ends up in extended spring for a bit. Either way, I think both would be poorly served by sticking them in Low-A. They’re both first round talents and need to be going against older, more advanced hitters right now. This rotation is the future for the Nats; if they can’t find a 2014 starter out of this group, then we’ll be spending a ton in the FA pitching market for years to come. This rotation is hurt by the loss of Taylor Jordan, who will be out the entirety of 2012 with TJ surgery after pitching very effectively for the first half of 2011 for Hagerstown. Hill is the name i’m least confident in, only putting him here by virtue of his being a senior draftee in 2011, thus he’d be at least 3 years too old for low-A this year. First man promoted: Cameron Selik; the phenom from 2011’s Hagerstown staff already has a ton of Potomac experience and could move up soon. Despite their promise, I think both Purke and Meyers will be in Potomac for at least a half a season to get their professional legs. First man demoted to the bullpen: Grace: he wasn’t entirely convincing as a starter in low-A, but his numbers were skewed by one or two really bad outings. Low-A: Turnbull, Hansen, Ray, McGeary, Karns? Maybe the 5th would be Karns, who if healthy could be a quick riser after so many injuries have derailed what was a promising young arm. I think Ray starts here again with the idea of quickly promoting him, despite his success here last year. He’s still young. Of course, I could also see Ray and Hill switching places between low- and high-A. First man promoted: Robbie Ray: he out pitched AJ Cole last year without any of the Baseball America top 100 love. I think he’s the next in a long line of lower velocity but higher result lefty starters that the system has been developing (see Lannan, Detwiler to a certain extent, Solis, Rosenbaum and McGeary for comps). First man demoted to the bullpen: Karns, if he’s here. I’m guessing Karns has this season to show that he continues to be a starter prospect, with a back-of-the-bullpen job waiting if he can’t show he’s durable enough to go 6 innings every 5 days. Short-A: MRodriguez, Dupra, Baez and 2 draft picks. GCL: Mieses repeating plus 4 guys from DSL and the 2012 draft. There’s almost no point of trying to predict the short season rotations, but I do believe that the names listed here aren’t going to make the Low-A roster but are still worth keeping as starters in extended spring. We had almost no starter talent in the GCL last season, with only Mieses making enough of an impression to keep him in that role. Lastly, Taylor Jordan and Sammy Solis start the year on the DL, unfortunately, both with Tommy John surgery. They would have both been prominent members of their rotations after great seasons last year, and their injuries further thin our starting pitching depth post Gonzalez trade. (3rd in a series; scroll back to earlier posts for AAA, AA reviews). The defending Carolina League champs Potomac had some big shoes to fill, with a number of their impact players from last year departing and moving onwards and upwards. 2011 saw an interesting rotation full of question marks, and by the end of the season the rotation featured one of the franchise’s most important pitching prospects. Potomac starters. The rotation started the season with Rosenbaum, Holder, Frias, Demny and Clegg. Danny Rosenbaum was your opening day starter, and easily your best starter in High-A this year. He put in 20 appearances (19 starts) and pitched to a 6-5 record, 2.59 era, 1.17 whip with 108/41 k/bb in 132 IP. The lefty looks like another in a long line of lefties this system is developing; not necessarily overpowering fastballs but pitches with guile and control. Much like Lannan, Milone or even teammate Solis, Rosenbaum will probably be a difficult pitcher to evaluate going forward, with scouts not knowing how to rate his ceiling as a starter. Outlook for next season: Rosenbaum was promoted at the very end of the season and had six very productive AA starts. He should start in Harrisburg in 2012. Trevor Holder has been fighting the “overdraft” label since his 2009 drafting as a 3rd rounder despite a less-than-stellar college career. After the Strasburg money outlay, many pundits thought that his drafting represented an “affordability” pick, and sure enough he signed as a college senior for far less than slot. Holder was given no less than 14 Potomac starts before mercifully being demoted to the bullpen, where he put in a few more relief appearances the rest of the season. Final season numbers: 3-8, 5.77 era. Outlook for next season: Holder should start 2012 in Potomac’s bullpen, and it would be the fourth year he’ll be in high-A. He’s officially in “organization guy” territory now, and unless he markedly improves soon he’ll be closer to a release than a future with this team. Marcos Frias is an interesting case; in 2010 he was awful as a starter for Potomac, yet he was given another shot in 2011. He got four early-season starts and wasn’t half bad (he had two good starts and one really bad one in April) and was demoted to the bullpen when Selik got promoted. Once he got to the bullpen? He was fantastic, posting a 1.67 era in 54 relief innings. The DSL graduate is still very young, and the Nats may have found a valuable bullpen arm. Outlook for next season: Frias should be in the AA bullpen, perhaps in the mix to be the closer. Paul Demny was the only hurler in the rotation who started and stuck in the rotation for the entire season, finishing the year with 26 starts, a 10-10 record and a 4.32 era. He’s still young (he’s in his fourth pro season and has just turned 22), but he’s also at the point in his pro career that he needs to start showing progress above the A level. As a JuCo signee he’s rule 5 eligible this off-season but there’s very little chance he gets selected (at least in the MLB phase), so the team has a bit more time to evaluate him. But 2012 is a make or break year for him. Outlook for next season: Perhaps he starts in high-A again, but he could be pushed up to the AA rotation depending on how the rosters shake out. I’m not sure he did enough to earn a promotion on performance in 2011, but a numbers game of recent rising college draftees may put him on the AA roster. Mitchell Clegg had nine mostly poor-to-incredibly bad starts before being demoted to the bullpen, at which point he had a couple of spot starts but worked mostly in the bullpen the rest of the year. On the year: 4-7, 5.50 era and he was equally bad out of the bullpen (starting split: 5.11 era, relieving split: 6.00 era). Outlook for next season: he’ll be lucky to make the 2012 Potomac bullpen, and I wouldn’t be surprised if he’s released after spring training. Cameron Selik earned a promotion to Potomac after five stellar outings in Hagerstown (where he gave up exactly one earned run in 29 innings) but wasn’t able to replicate that success in high-A. He gave the team 16 starts before being moved to the bullpen in August. As a starter in high-A he was 4-9 with a 4.57 era. Outlook for next season: he’ll be in the Potomac rotation, looking to improve his 2nd year at the level. Adam Olbrychowski was struggling during the first half as a middle-reliever in the Potomac pen, then was surprisingly inserted into the rotation, where he performed markedly better. He posted a 5.63ERA in 16 relief innings, then posted a 3.71 era in 15 starts during the second half. I may be wrong, but I believe he’s rule-5 eligible this coming off season, though his status as a mediocre-to-halfway decent right hander in high-A probably keeps him safe for the time being. Outlook for next season: good question. He’ll be 26 and in his 6th minor league season next year, but he clearly improved once he hit the rotation. I’d say he starts in the AA rotation with a short leash. Evan Bronson logged a lot of frequent flier miles this season; he was left in extended spring training, then joined up with Potomac a few cycles into the season. He lasted a few starts, got dropped from the rotation when Solis joined the team, made a quick appearance in AAA and a spot start in AA, then finished the season back in the Potomac rotation. Phew. All in all he posted a 5-5 record in high-A in 23 appearances and 12 starts. He was clearly better in relief than he was as a starter, often putting in long relief stints and holding down the fort. Outlook for next season: He’s put in good numbers in high-A two years running; time for him to move to AA. I’d guess he gets a look as a starter but serves as the long man/spot starter in AA. Sammy Solis had a slight injury in the spring, then started in low-A (a bit low for an accomplished college draftee of his stature). Once he made it to high-A though, he did not disappoint. In 10 starts he posted a 6-2 record with a 2.72 era, a 1.28 whip and had 53/11 k/bb in 56 1/3 innings. Whats really interesting about Solis is his splits; despite being a lefty he dominated right handed hitters, posting a 1.97 era split against them (albeit with a .260 BA against). Outlook for next season: Solis remains one of our better starter prospects though, and should advance quickly up the system in 2012. He will start in the AA rotation and may end the season in AAA. Erik Davis struggled in AA, earning a demotion to high-A, where he was even worse. 0-5 with a 6.75 era in six starts, ending the season on the DL (unclear if it was for a legitimate injury or a roster manipulation preparing the team for the playoffs). Outlook for next season: (from the AA post): he starts in the AA bullpen on a short leash. Other Starters of note (non-rehab): Alex Caldera had two awful starts and was summarily released in April. He was acquired for cash from Kansas City in late March and after his release picked up with the low-A affiliate of Florida. Pat Lehman was fantastic early on as the closer and earned a mid-season promotion. Outlook for next season: (from the AA post): he sticks in the AA bullpen, competing for the closer role. Hector Nelo took over as the primary closer after Lehman’s promotion and was similarly productive. He had a 2.40 era in 41+ innings and earned 18 saves. He really has turned around his career; getting released in April by Texas, signing with Washington two days later and looking like a new pitcher. He was a 25-yr old in high-A though; he’ll need to produce at the next level in 2012. Outlook for next season: AA bullpen in perhaps a setup role. Josh Smoker has remade his own career post arm injury, putting up great numbers in a later-inning relief mode. On the season he was 5-2 with a 2.31 era but more importantly 56 Ks in 50 innings. He’s rule-5 eligible but is in little danger of getting plucked away. Outlook for next season: AA bullpen. Joe Testa and Neil Holland were both excellent in middle-relief. Unfortunately Testa is way too old for high-A and may be considered the “extra guy” we got in the Ramos-Capps deal. Holland is much younger and pitched his way out of Hagerstown early. Outlook for next season: AA bullpen for both, though Testa may not be long for the organization, losing out in a numbers game. Rob Wort couldn’t follow up on his excellent 2010 numbers in Potomac and took a step back in 2011. He’s young though. Outlook for next season: he repeats high-A, again in the bullpen. Dean Weaver and Ryan Demmin both were demoted down to Hagerstown; we’ll cover them in the Low-A review. Other relievers with appearances: Rafael Martin was dominant and earned his promotion to AA. Kyle Morrison was released after just a few appearances early on. Carlos Martinez bounced around the organization and pitched a few ineffective innings for Potomac. Tough loss for JD Martin on 7/6: He gave up 2 hits over 6 innings but both were solo homers in a 2-0 loss. Another excellent start for Robbie Ray on 7/6: 6IP, 4H, 0R, 2BB, 7K. 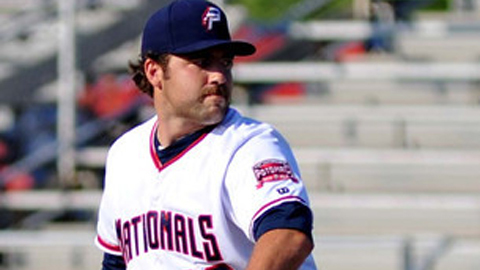 Nathan Karns put in his latest statement game in the GCL on 7/6: 4IP, 0H, 0R, BB, 6K. Its time to promote him. Another great re-hab start for Chien Ming Wang on 7/7: 5IP, 2H, 0R, 0BB, 2K. AJ Cole continues to impress as a youngster in low-A. 7/7 line: 6IP, 3H, 0R, 0BB, 7K. Erik Davis got 10 ks in 5 innings on 7/8 but still managed to lose: 5IP, 6H, 3R, 3ER, 0BB, 10K, HR. Taylor Jordan won the nightcap on 7/9 for Hagerstown with an excellent outing: 7IP, 4H, 0R, 0BB, 2K. Wirkin Estevez put in an excellent outing for Auburn on 7/9: 6IP, 4H, 0R, BB, 7K. Silvio Medina (who I thought had been promoted out of the GCL) was dominant on 7/9: 4IP, 3H, 2R, 0ER, 0BB, 7K. An excellent 2nd Potomac start for Sammy Solis on 7/10: 7IP, 4H, 0ER, 2BB, 5K. This is the pitcher we’ve been waiting for. Cameron Selik just can’t make the adjustment to high-A, taking another loss on 7/7: 5IP, 6H, 4R, 4ER, 3BB, 2K. Ryan Demmin took another bad loss for Auburn on 7/7: 5⅓ IP, 5H, 4H, 4ER, 0BB, 2K, 2HR. Brian Dupra got a spot start (?) for Auburn on 7/8 and got knocked around a bit: 4⅔ IP, 7H, 4R, 3ER, 0BB, 5K. Gregory Baez didn’t finish the third inning for the GCL on 7/8: 2⅔ IP, 4H, 4R, 4ER, 3BB, 4K, HR. But it wasn’t his fault the team lost; his bullpen gave up another 13 runs. Yunesky Maya threw another egg on 7/9: 5IP, 9H, 4R, 4ER, 0BB, 0K. Tanner Roark got battered around on 7/9 after returning from the inactive list: 3⅔ IP, 7H, 4R, 4ER, 3BB, 4K. Its his third such bad outing in a row but unless someone comes off the DL, it doesn’t seem like there’s a natural replacement for him. Matt Grace didn’t have the best outing on 7/9 either: 1ip, 5H, 4R, 4ER, 0BB, 0K, 0HR. Yanked after the first, Steve McCatty came in and pitched long relief to get the win. Pedro Encarnation, who can’t seem to catch a break, got battered for the GCL Nats on 7/9: 3IP, 6H, 6R, 6ER, BB, 2K, 2HR. Not the best rehab start for Chad Gaudin on 7/10: 4IP, 7H, 4ER, 6K, 0BB. Seven hits and 6 Ks. At least he didn’t walk anyone. Christian Meza added more runs to his ERA on 7/10 in Auburn: 4⅓ IP, 8H, 6R, 5ER, 2BB, 3K. Christopher McKenzie seemed to get of the schnide for the GCL on 7/10: 5IP, 2H, 0R, 0BB, 7K. A bit of an unlucky 7/6 start for Paul Demny: 7IP, 6H, 4R, 4ER, BB, 3K, HR. Colin Bates proved to be an escape artist on 7/6: 5IP, 8H, 1R, 0ER, 2BB, K. That’s 10 baserunners in 5 innings but only gave up one unearned run. Craig Stammen had a soso start on 7/8: 6IP, 5H, 3R, 2ER, 2BB, 4K, HR. A quality start for sure, but nothing dominant. Erik Arneson was pretty good for Harrisburg on 7/10: 6IP 7H, 3ER, 2BB, 8K. I’m a tough grader for guys who have pitched above the level they’re currently playing. Paul Applebee pitched a decent start for Hagerstown on 7/10: 5IP, 4H, 2ER, 0BB, 3K. He seems to have earned his way back into the Hagerstown rotation. At least until we figure out what happened to Bobby Hansen. Its really hard to tell who is in the “rotation” in the GCL. As you’ll see, Baez “started” a game wednesday and then again saturday. King, Mieses and Karns all were skipped this time around. So far so good with the JC Romero experiment. He’s had several outings that have all gone pretty well. Tommy Milone got a well-earned International League all-star spot this week. See you in September! Brad Peacock‘s performance this year has vaulted him into the Baseball America mid-season top 50. Bryce Harper, now the youngest player in AA, is the new #1, overtaking Angels OF prospect Mike Trout. Peacock is still listed as having a #3/#4 starter ceiling; this coincides with concerns i’ve read over his 3rd and (lack of a) 4th pitch. Potomac, after being disappointed by the missing of Harper, may be making alternate plans to build a new facility. According to this Baseball America link, the owner Art Silber is announcing later this month a new site and new plans.